Also known as a US Visitor Visa, a B-2 Visa is a non-immigrant visa that is issued to qualified applicants who intend to go to US on a temporary basis for medical treatment or simply for leisure purposes. It specifies the purpose of the travel as well as the length of stay of the holder. Such type of visa can also be issued for the following purposes, namely; to visit the family in the US, to attend a special event, family functions or ceremonies, or purely for tourism. However, it cannot be granted for business purposes because a US Business Visa is the appropriate visa for that purpose. A person granted with a B-2 Visa is allowed to stay in the United States for a period of 6 months or less and may apply for an extension of stay which application is subject to approval. It must be stamped/placed in the traveler’s passport. In order to qualify for a B-2 Visa, the applicant must be able to prove that he/she qualifies under the Immigration and Nationality Act. 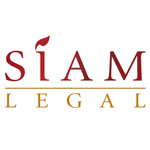 Under the US Immigration Law, when a person applies for a Visitor Visa, the presumption that the applicant intends to be an immigrant arises. So in order to refute such presumption, the applicant must be able to establish the fact that he/she has a residence in the country where he/she came from and that he/she has no plans of abandoning the same. He/she must also be able to prove that his/her stay is only on a temporary basis and is not for good. Owning a house in the home country and having been able to travel to different countries are some of the facts that are taken into consideration for an easy obtainment of a B-2 Visa. 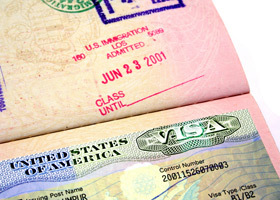 It is important to note a holder of a B-2 Visa is not allowed to work in the United States. The I-94 card will tell the holder thereof the length of stay in the US. One who intends to stay in the United States for good cannot rely on the B-2 Visa since this type of visa is specially designed only for the fulfillment of a specified predetermined purpose. Once the number of days of stay as stated in the I-94 card have already elapsed, the B-2 visa holder will be ordered to leave the US otherwise, he/she will be facing a 3-year or a 10-year ban to enter the US. See Applying for US Tourist Visa in Thailand.